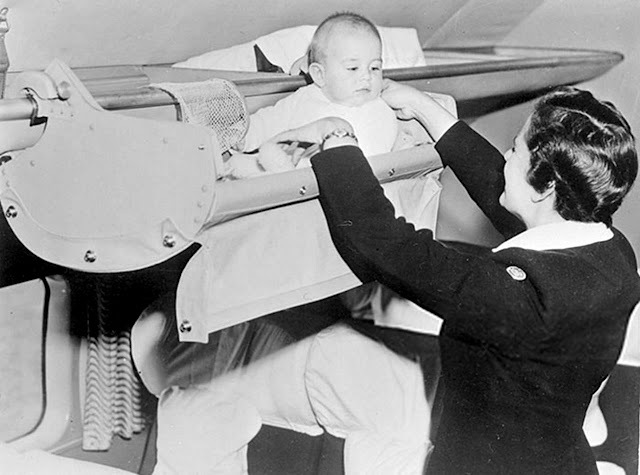 Flying with children has never been easy. 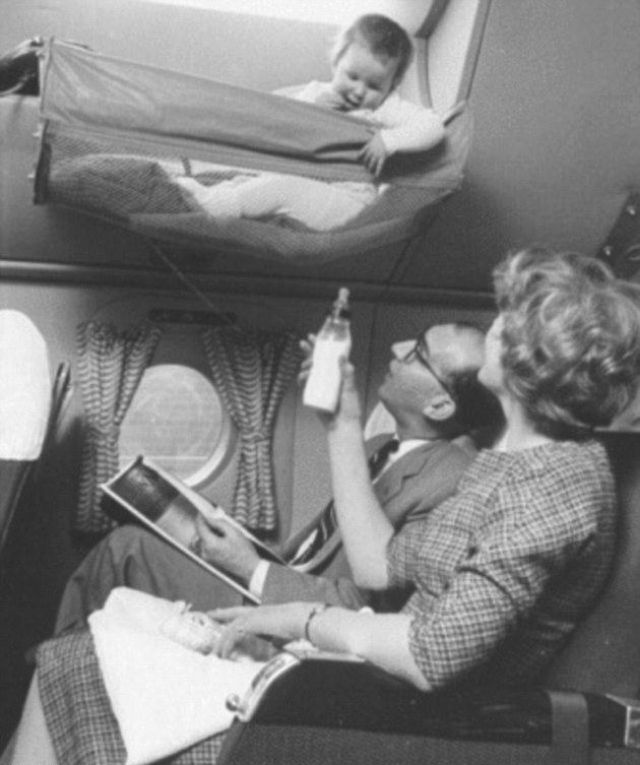 But before the days of special seat belt attachments and sky nannies parents took a more cavalier approach to childcare, simply placing babies in cradles that hung above their heads. 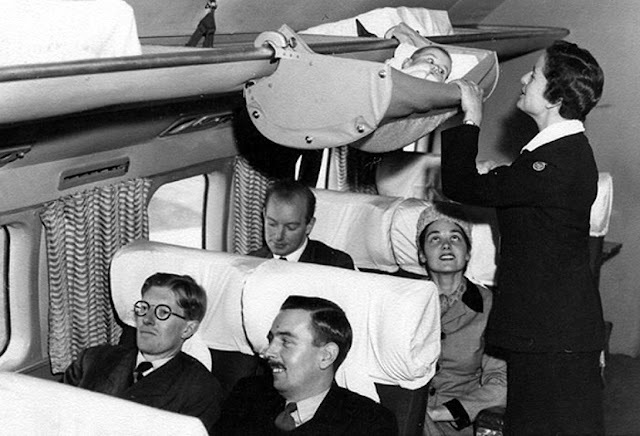 Incredible vintage images, dating back to the 1950s, have emerged revealing that ‘skycots’ were attached to the overhead luggage bin, with children placed inside for the journey’s duration.